At the Soccer Store, we source only the most durable, high-quality football goals and football nets on the market. Our commitment to supplying the very best equipment means you can buy your football goal in the knowledge that it will deliver many years’ of outstanding performance. Although we stock a wide range of brands, our selection of Samba goals is particularly popular, giving youth and amateur teams the same reliable performance enjoyed by many of the Premier League’s top teams. All of our Samba football goal posts are delivered to you via our next-day service, and we offer a no-quibble guarantee in the unlikely event that your goals prove to be faulty. They are available with or without Samba’s innovative locking system, so you can choose the product that best suits your playing requirements. And because we have the complete range of Samba products, there really is no need to go anywhere else. Take a closer look at the amazing benefits of buying Samba football goals by perusing the latest videos on our buying guide. Whether you are purchasing a football goal for a school or a Sunday league team, The Soccer Store is your one-stop-shop for all types of goals. Our Mark Harrod steel and aluminium football goals, for instance, are fully compliant with British safety standards, and they are available in a selection of different sizes for every level of the game. If you need goal posts for 11-a-side pitches, 5-a-side pitches or junior level, we have them in a choice of fixed or freestanding designs. The Mark Harrod goals are sold as complete packages and include all you need including football nets, and accessories. If you are looking for a lightweight, portable and durable goal, Kickstar goals from Quickplay Sports are perfect. Ideally suited for use by under-12s, they are available in a huge range of sizes, and they make setting up and packing away a quick and simple process. 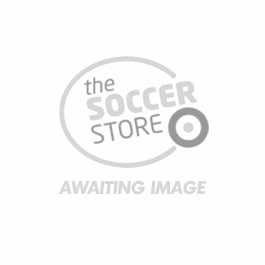 The Soccer Store is one of the UK’s leading suppliers of football training equipment. We are experts in our field, so you can rely on our advice and guidance in order to make the right purchasing decisions. Whether you want advice on choosing between fixed and freestanding goals or you’re unsure of the size of goal you need in order to comply with your league’s regulations, our courteous and knowledgeable staff are waiting to help. You can also browse our extensive collection of replacement football nets, as we have a net to fit every type and size of goal on sale in the UK including replacement goal nets for the full Samba Goal range. Our full size nets are available in striped colours so the netting can match your team colours.